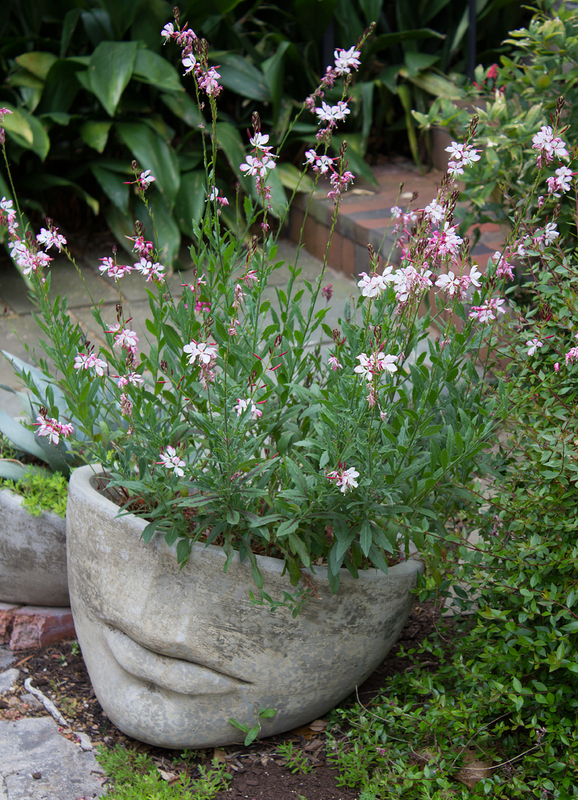 ‘Whirling Butterflies’ is another name for this Gaura. Having big hair in my face pots has always been kind of important. So when this area was suddenly transformed into a sun garden by the loss of an ancient oak tree, I chose Gaura to replace my shade-loving Foxtail Asparagus Fern. There is another one of these face pots in the backyard which is in shade and still sports its dreadlocks of foxtails.